Please see our 'open days' page to find location information, other times to visit or about bringing a group. The "Big Weekend" is a Big Success! Nearly 1,200 visitors came to the box during Saturday and Sunday 6th and 7th April, an all-time record for a weekend public opening since restoration was completed in late 2008. See our News 2019 page. for more details. Check our newsletter tor all the stories on the signal box. newsletters and archives. Hands-on history, bells, levers and signals - all as the trains fly by. 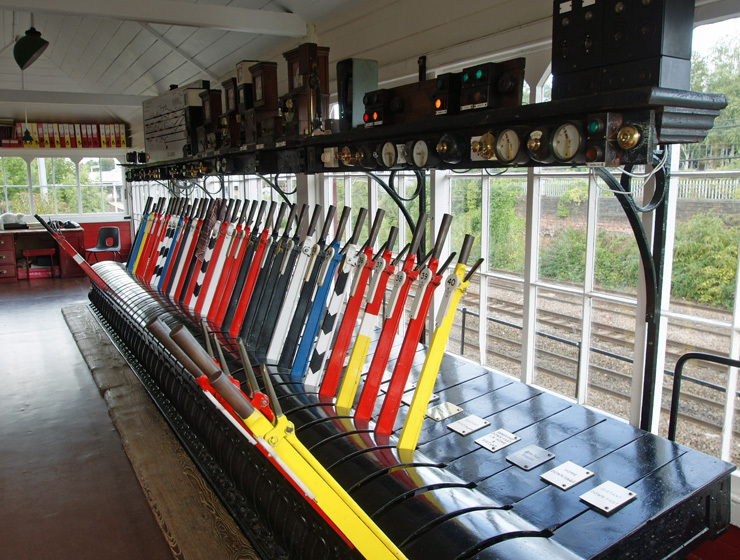 Come and enjoy a great day out at this historic signal box in St Albans. Right by the four-track mainline station, a free-entry attraction for kids, families and railway enthusiasts of all ages. Access statement: The site is fully accessible except for the long external flight of eighteen steps to the upper floor of the signal box. For those unable to get upstairs a video of the upstairs workings can be shown downstairs. Accessible toilet and hand washing facilities available on request. (Grade II listed) as part of our railway and architectural heritage. On the web - check our reviews and visitor photos and many thanks to reviewers for the kind words of support..